If you’ve been drooling over our giant Oatmeal Chocolate Chip Skillet Cookie, why not share the love and gift one to a friend for a birthday, or even just because? If you don’t want to bake it yourself, or distance is an issue, we have a great way to prepare edible gifts, DIY-style! Simply layer the dry ingredients in a mason jar, then it’s ready to bake with just a few easy additions. Oatmeal Chocolate Chip Skillet Cookie: Preheat oven to 350oF/175 oC. Line the bottom only of a 9” cast iron skillet with parchment and spray with non-stick cooking spray. In a large bowl, beat together 1/2 cup softened butter, 1 egg and 1 tsp vanilla until well mixed. Add contents of jar and stir well. Lightly press dough into skillet. Bake for 20-25 minutes, or until golden and center tests clean with a toothpick. Cut into wedges and serve warm. Vanilla ice cream optional. Tip: If you want to take this gift to the next level, include a 9” cast iron skillet. Olive Oil Granola: Empty contents of jar into a large mixing bowl. In a smaller bowl, whisk together 1/2 cup maple syrup, 1/2 cup olive oil and 1/2 tsp coarse salt, then pour over oat mixture and stir very well. Let stand while you preheat oven to 325o F/160oC. Spread evenly over one or two lightly oiled rimmed baking trays, pressing down lightly. Sprinkle with a pinch of coarse salt. Bake for 15 minutes, stir, then continue baking for an additional 5-10 minutes, or until golden brown. Cool completely before stirring in dried fruit. 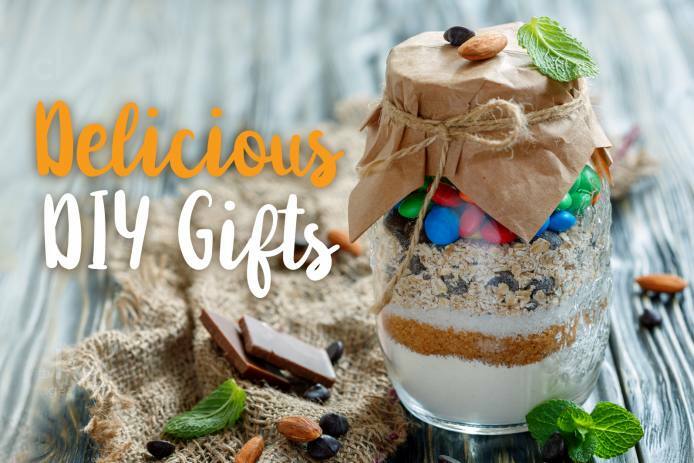 Whether you choose cookies or granola, these one-size-fits-all, no-occasion-required gifts are sure to bring smiles to the faces of your favorite foodies and all of those hard-to-buy-for types. 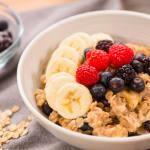 Send me Oat-Tacular updates with recipes, great tips and creative ways to enjoy oats everyday. Cookies for breakfast! Yes, please. 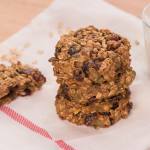 These grab-and-go breakfast cookies are chock-full of healthy ingredients, including oats, to give you long-lasting energy, deliciously. Elegant entrees don’t have to be time-consuming. 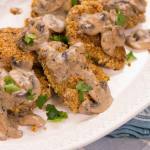 Tender slices of juicy pork with a crunchy, thyme-scented oat breading are served with a creamy Dijon mushroom sauce for a delicious meal that comes together in just 30 minutes. 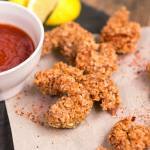 Irresistible, bite-sized Cajun-spiced shrimp with a crispy, golden oat breading will be the hit of your next gathering. Ripe banana and bursts of sweet berries swirl through creamy oatmeal. Wake up your taste buds with this simply delicious breakfast for two. 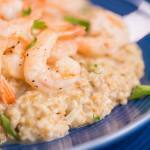 In our easy-to-prepare twist on “shrimp and grits,” a generous serving of garlicky, lemony shrimp nestles into buttery, cheesy steel cut oats. This is next-level comfort food.